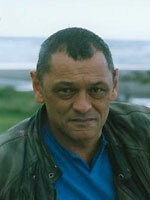 Apirana Taylor was born in Wellington in 1955, of Te Whanau a Apanui, Ngati Porou and Ngati Ruanui descent. In addition to poetry, he has written short stories, criticism and a novel, He Tangi Aroha (1993). Taylor is also an actor and playwright, and was a prominent member of the Maori theatre cooperative Te Ohu Whakaari. He has taught drama and creative writing at Whitireia Community Polytechnic, and has held writing fellowships at Massey University (1996) and the University of Canterbury (2002).